Who is the true father of Minimalism? When the movement originated in the early 1960s, it sprang up organically – some composers played by the rules (even if they were rules of their own invention), while others experimented freely, unaware or unconcerned about how music 'should' be composed. One of those young mavericks was Dennis Johnson, who has now faded into almost complete obscurity after he gave up his musical ambitions for a career in mathematics. But his 1959 composition November can be considered one of the first, if not the first, properly minimalist work. It later went on to inspire La Monte Young (Johnson's class mate at UCLA) to write his prolific Well-Tuned Piano. Complete recordings are few and far between, and this new recording by Jeroen van Veen is the perfect introduction for anyone looking to get back to the roots of Minimalism. Jeroen van Veen is one of the Netherlands' most prominent recording artists. 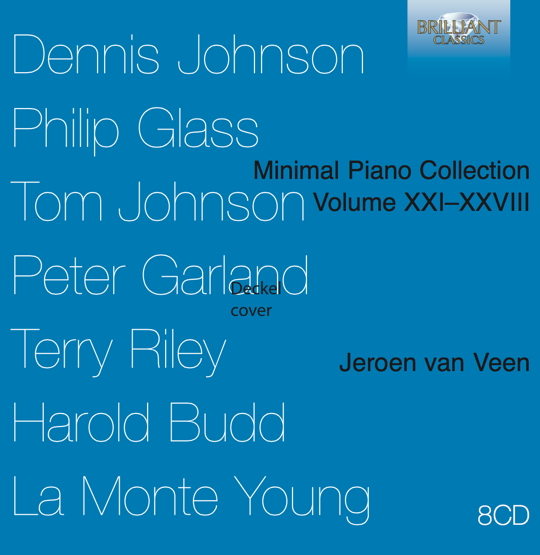 This collection of Minimal Piano Music follows two previous successful albums, available on Brilliant Classics (BC8551 and BC9171). The last album provided a snapshot into the extensive scene of minimalist music today; this one takes us back to how it all began. Featuring several famous pieces from the original minimalist canon – including Philip Glass's Music in Contrary Motion and Terry Riley's Keyboard Studies – there are hours of beautifully relaxing and inspiring music here to enjoy. This 8CD set bring the listener back to the roots of Minimalism, all works were written in the seventies of the 20th century, a time when the new aesthetics and perception of music, sound, repetition and time experience were creating a new chapter in music history. The longest piece is the 5 hour “November” by Dennis Johnson, a work in which the player is free to build the intervals and chords according to his own timing and spacing. The other composers in this set are Philip Glass, Tom Johnson, Peter Garland, Terry Riley, Harold Budd and La Monte Young. Recorded in his own studio by the most important protagonist of Minimalism today, Dutch pianist Jeroen van Veen. 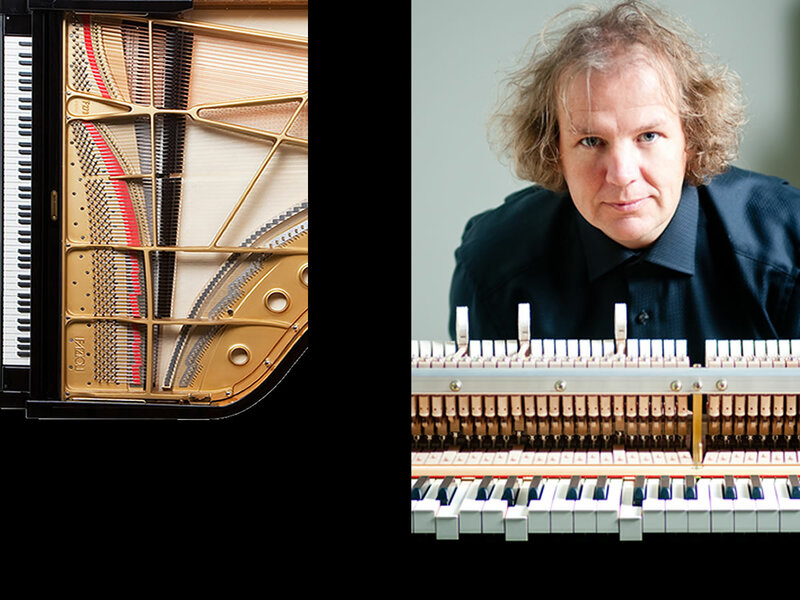 Van Veen has a myriad of recordings to his name, notably the multi CD boxes Minimal Piano Collection 1 and 2, complete Satie, Einaudi, Tiersen, Jacob ter Veldhuis, Simeon ten Holt and many more. Van Veen wrote his own personal and illuminating liner notes for this set.